Try this natural tranquilizer for the nervous system next time you need a mental reset. Life has us fluctuating between these two nervous system continually and that’s a good thing. However, when we find ourselves stuck in “fight, flight or freeze” over and over, we start to experience physical ramifications from this mental state. 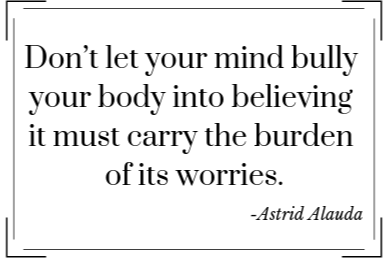 Our heart rate increases, blood pressure goes up, muscles tighten, the stress hormone cortisol soars and anxiety overwhelms. One of those tools I’ll frequently use – whether driving in the car, sitting at home, before a presentation, during a run….is the 4-7-8 BREATHING EXERCISE.Have you ever tried this one? 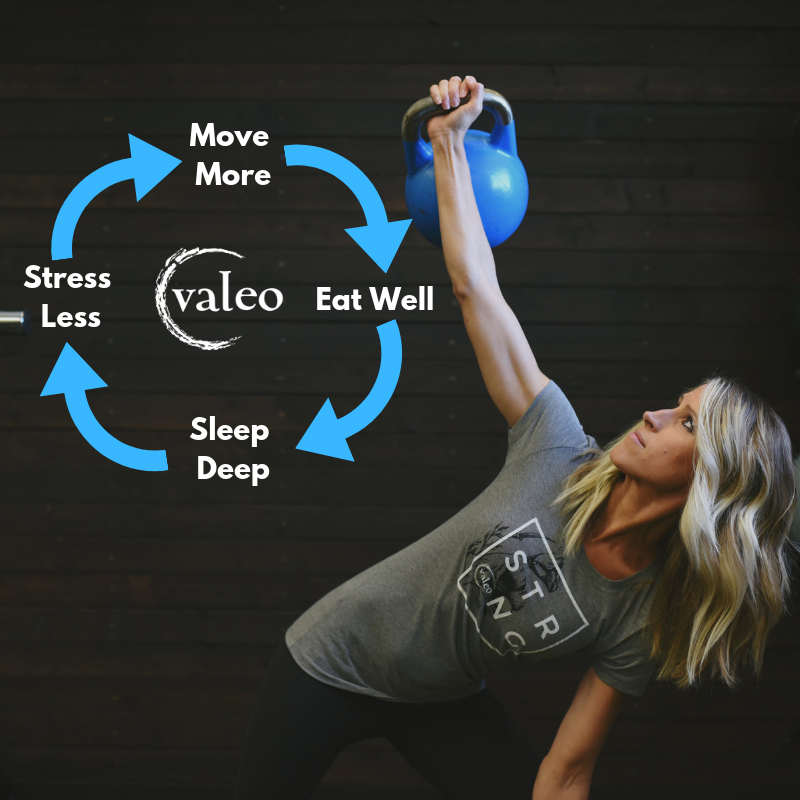 You may find it easiest to perform the 4-7-8 Breathing Exercise in one of the Breathing Reset positions we do before every workout at Valeo – you can check those out HERE! Being able to control your breath will play a huge role in your fitness journey, helping your body respond positively to good stress (working out) and reduce the impact of negative stress (say, anxiety about work). And Stressing Less undoubtedly impacts every other Core Four healthy habit that helps us look, move and feel (even more) awesome. Close your mouth and inhale quietly through your nose to a mental count of four. Pretend your belly is a balloon and you’re filling it up (belly should expand, not chest). Hold your breath for a count of seven. This allows oxygen to fill your lungs and then circulate throughout the body, producing a relaxing effect. We’re rooting for rest, for release, for refreshment – for you!